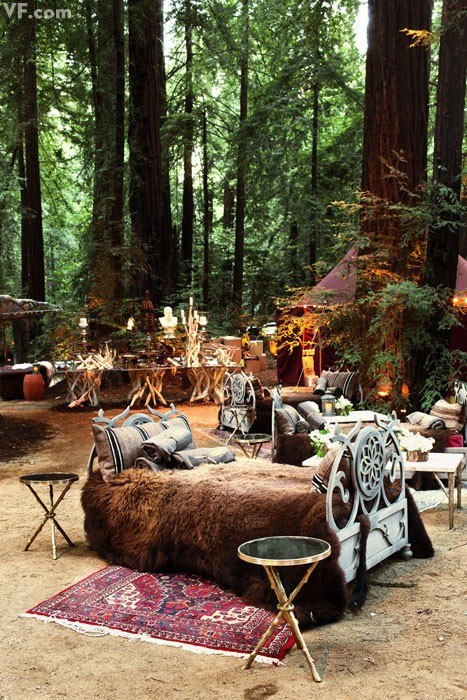 Lush Fab Glam Inspired Lifestyle For The Modern Woman: Wedding Inspiration: Sean Parker's Astounding Fairy-Tale Forest Wedding. 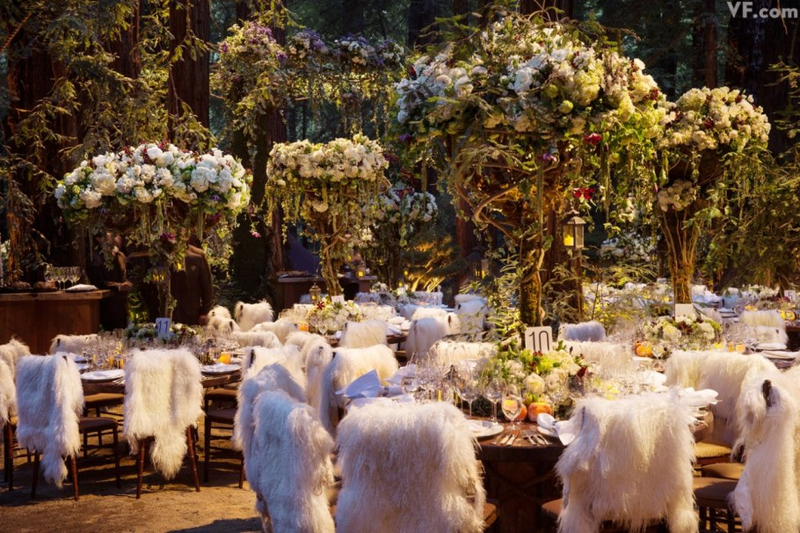 Wedding Inspiration: Sean Parker's Astounding Fairy-Tale Forest Wedding. As we pine over the cold weather and long for the warm days of spring and summer, brides-to-be and wedding planners around the world are getting ready for wedding season and fussing over the details to make their wedding a fabulous and romantic celebration. While traditional church weddings are still very common, many brides and grooms are putting their own spin on their special day with out-of-the-box themes. From now until wedding season we will be spotlighting fabulous weddings with gorgeous decor and unique themes. From over the top, lavish celebrity weddings to romantic and intimate weddings with a traditional or unique twist. The Bride Alexandra Lenas and Groom Sean Parker. So whether you're a bride-to-be, part of a wedding party, know a bride-to-be or simply love browsing through beautiful wedding photos to add to your wedding wish list or Pinterest boards this wedding will inspire you. 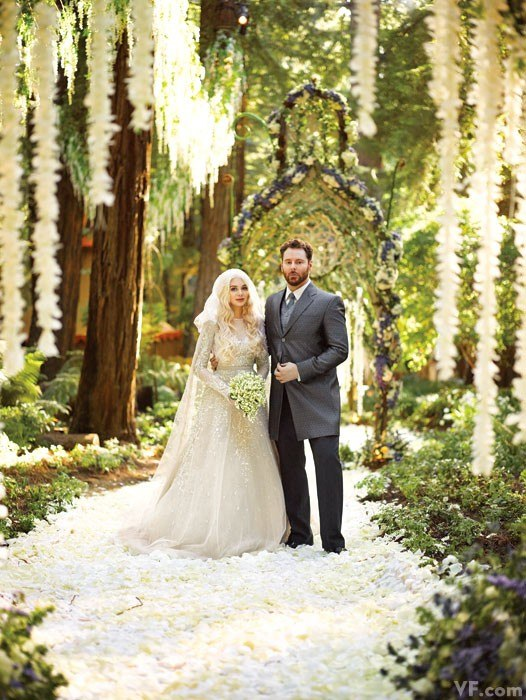 Read on to see more photos from social media tycoon Sean Parker and his singer-songwriter bride's astounding fairy-tale forest wedding. 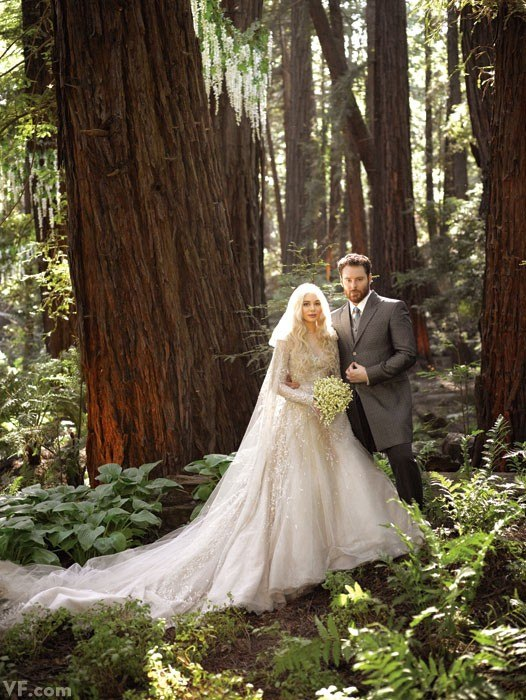 Napster's Sean Parker and singer-songwriter Alexandra Lenas lavish Big Sur wedding took place amid towering redwoods in September 2013. 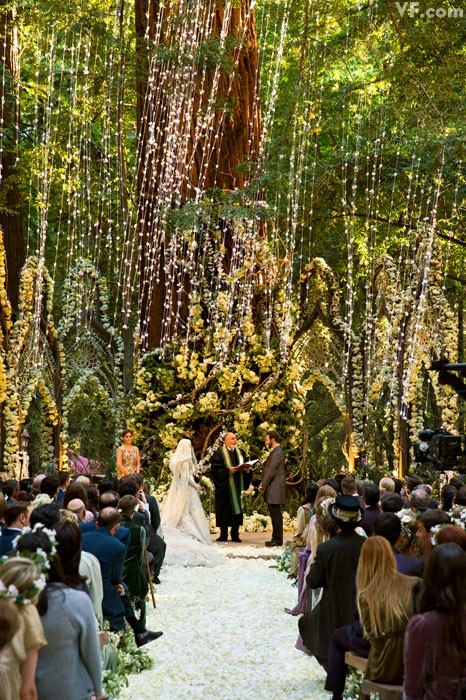 This is one wedding we wish we had seen in person, the decorations are simply amazing and unlike many outdoor weddings that detract from the beauty of nature. 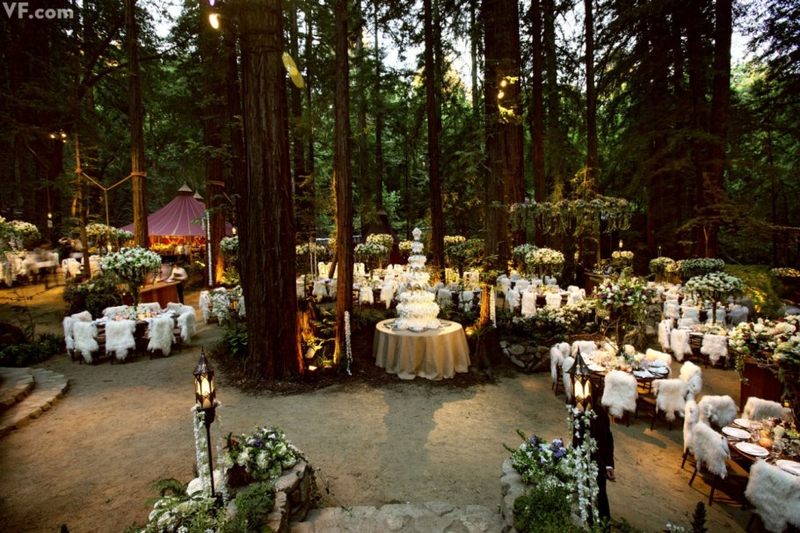 This performance themed wedding shows the couples love for the forest and every detail of their wedding décor complements and enhances it! 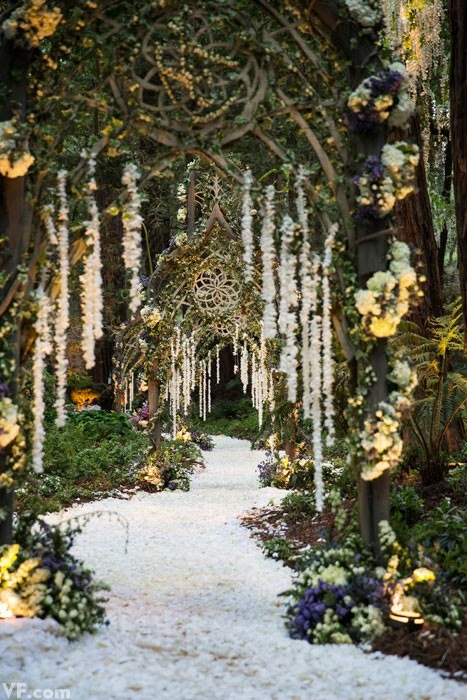 The lush forest was transformed with strewn flower petals and a beautiful flower bed along the path. A closeup look of the beautiful bride and her stunning Marchesa dress. The couple chose a performance-art theme for their wedding. A photo of the inn at the site where guests stayed. 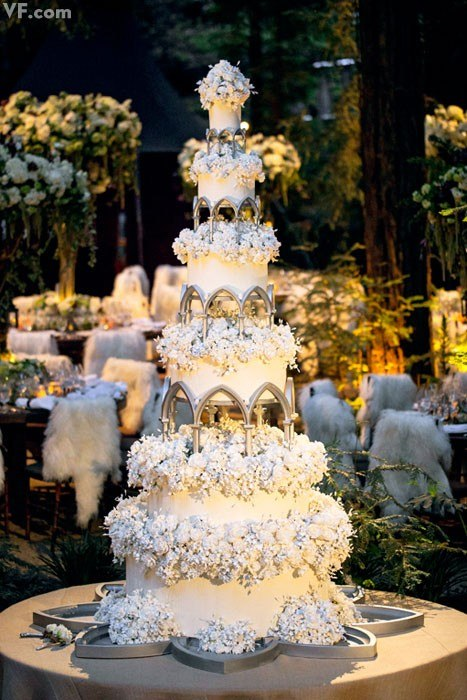 The beautiful nine-foot-tall wedding cake. The bride changed into this beautiful medieval inspired gown and tiara. Guests relaxed on fur-pelt-strewn beds in the lounge area. 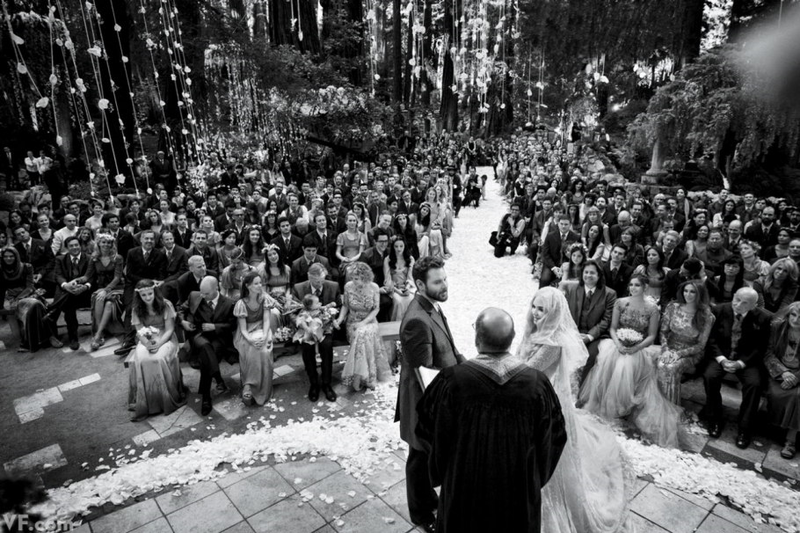 The wedding celebration was dedicated to the couples love of old-growth forests. 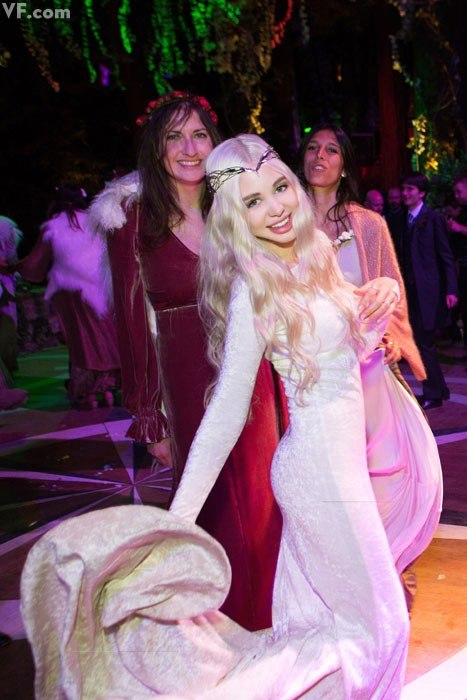 The celebration included Tolkien-ized costumes for all 364 guests by 'Lord of the Rings' costume designer Ngila Dickson. 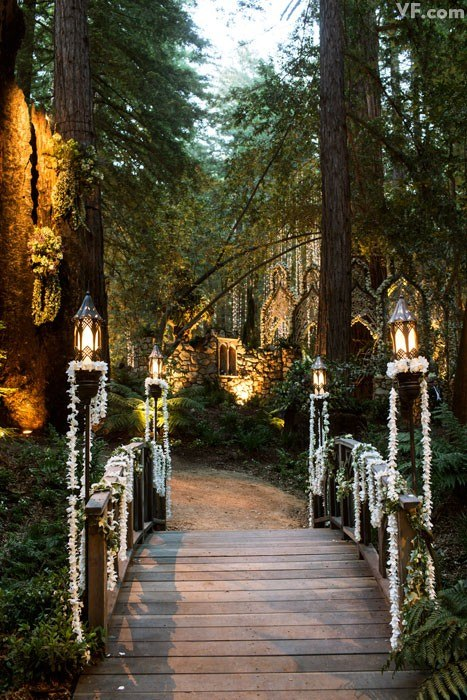 The wooded site where the ceremony and reception was held cost Parker a whopping $4.5 million. A close-up view of the lavish table placement and table top décor. 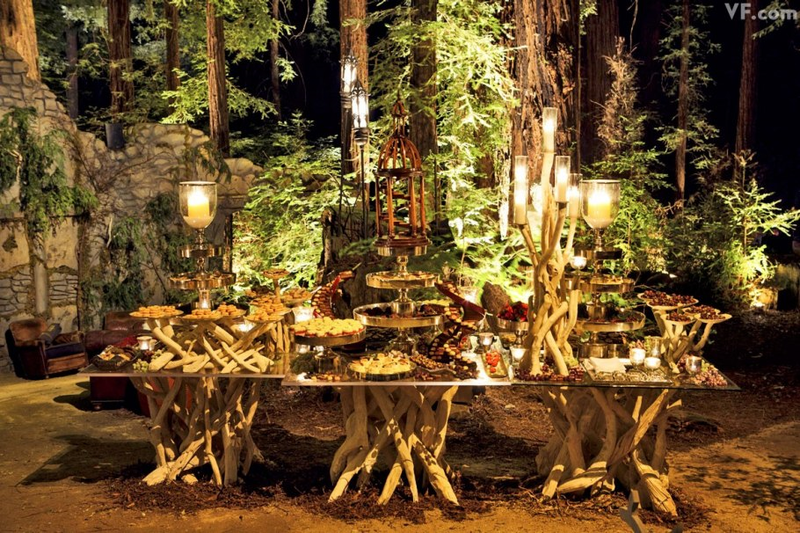 The delicious looking dessert table was lit with pillar candles and supported with elaborately carved tree stumps so it blended perfectly with the forest scene. Photos by Christian Oth and Mark Seliger for Vanity Fair. What do you think of Sean and Alexandra's forest themed wedding and what's your favorite detail?Share with us by leaving a comment below. the dress is very beautiful, but the bouquet should be in a slightly stronger color. Beautiful. If I weren't already married I like this dress. It is really been a great wedding. They organized things like a pro. I guess their wedding planning was strong and well executed. From the venue to the dress I like it all.